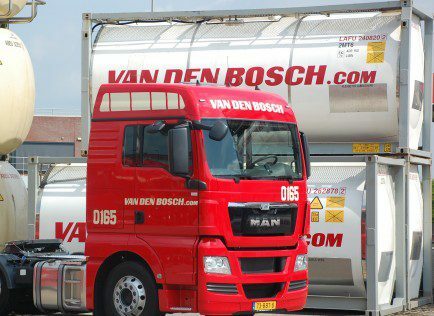 Van den Bosch Transporten has selected the Quintiq planning and optimisation software platform for its logistics operations. The Quintiq platform was implemented at Van den Bosch Transporten’s liquid chemical road unit, and is set to expand to other business units worldwide. The single, integrated platform replaces the logistics operator’s multiple planning systems. Covering every planning horizon, Quintiq says it offers the company end-to-end transparency in operations and visualisation of the impact of decisions on business goals. It incorporates all rules specific to the company so that the right equipment can be assigned to the right customer orders. It also ensures optimal allocation of orders to containers and containers to trucks and trailers, and defines optimal paths for load units in the intermodal networks. Freed from manual planning, Van den Bosch planners can now focus on higher-value activities, said Quintiq. This entry was posted in Equipment & Technology, Logistics, Uncategorized. You can post a comment.